I know it's probably been posted many times over, but I'm looking to add a sub to mine. 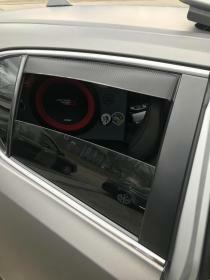 I'm good with all the wiring and such but was curious as to whether the base audio setup has a factory ran sub output wiring and can I tap into that while still using stock head unit? Basically, is there a wire ran that will provide a signal or do I have to tap into rear speakers for it? Any info is appreciated. The base stereo does not. I chose to tap into the rear speakers at the back of radio. 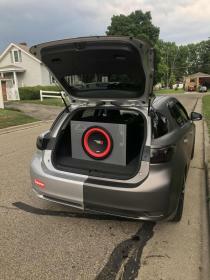 Do a search for "leonar40's subwoofer installation" for a full write-up and pictures of how I did my install. I attempted to wire my sub in my premium sound 2013 with the subwoofer wiring, but I came to find out the crossover on the factory sub is pretty bad. It only played around 30-50hz. I tapped into my front doors instead and sounds much better since I believe they are getting a full range signal. how to install aftermarket HU and amp/sub.? By Cyberformula in forum Lexus CT200h Engine and Technical Discussion.